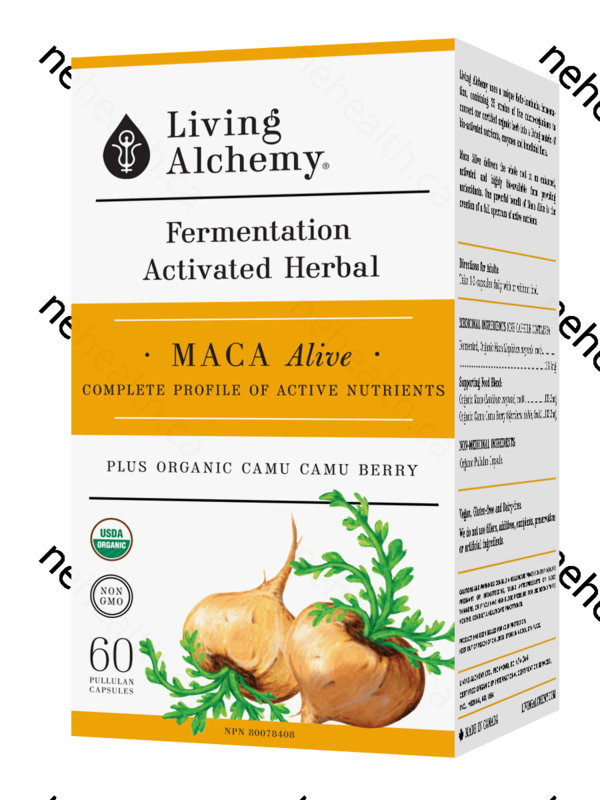 Maca Alive features the same fermented form of maca that our ancestors consumed for medicinal value. We complement our fermented Maca with an organic 6:1 concentrated, raw, gelatinized Maca made of 80% black Maca, 15% purple Maca and 5% yellow Maca for even more power in getting your whole system balanced. Completing our Maca Alive is the finest organic Camu Camu Berry. Rich in antioxidants, our Camu Camu Berry is a 30:1 concentration that is not only a potent, whole food vitamin C for those stressed adrenal glands, but also supports a healthy mood. This expertly crafted blend provides whole body balance and is the foundation to a daily stress support program. 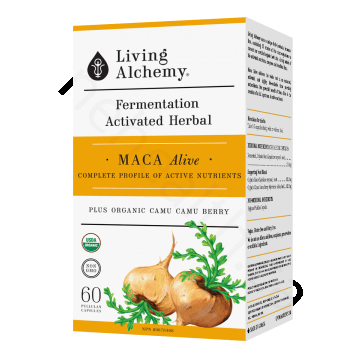 Living Alchemy uses the ancient art of fermentation to activate Maca into its superior form for Maca Alive. We ferment our finest organic Maca using a month long fermentation containing 35 select species of micro-organisms from kefir and kombucha cultures.This activation delivers the complete synergy of the food within a living food matrix for exceptional vitality and bio-availability. *Non-GMO. Gluten free and dairy free. Suitable for vegetarians and vegans.